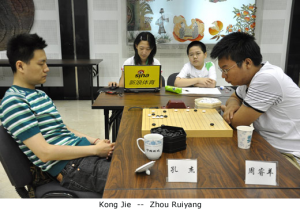 Zhou Ruiyang 5P defeated Kong Jie 9P by 5 points in the second round of the 7th Changqi Cup on Thursday, June 24. Zhou Ruiyang will now face Piao Wenyao in the third round on June 26th. 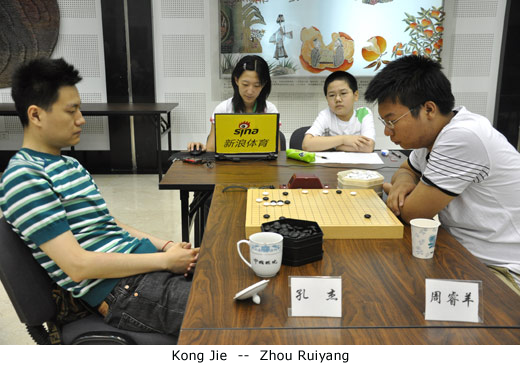 The Changqi Cup is a relatively new tournament sponsored by the Ing foundation, which had its beginnings in Beijing in 2004. The tournament name ‘Changqi’ is the first name of the late Taiwanese millionaire (Ying Changqi) who sponsored the Ing Cup world championship. The tournament is open to all Chinese professionals.